It goes without saying that paid DLC should had never been allowed in a competitive multiplayer game. Those who buy Rise of the Samurai, Sengoku Jidai, Saints and Heroes or the Ikko Ikko DLC all get more powerfull and cost eficient units, not to mention a lot of very powerfull exclusive retainers! Thus puting anyone who does not pay for the DLCs at a handicap. Diferent time period units should not have been mixed toguether neither, this takes away from immersion. Capping units... This should have been done with all units in my opinion. No one should be allowed to field an entire army of the same exact unit, making certain retainers extremely OP and making said build very hard to counter with anything other than an specialized anti-build. All units should have been capped at around 6(some, specially monks, at even less), as well as having a Unit-Class cap too, like for example max 8 calv, max 8 swords, etc, etc thus forcing melle spamers and in particular cav spamers to at least mix up their units a little; A unit and class cap would also automatically balance out certain retainers selection. On the retainers topic; They ALL should have been easier to unlock by being directly linked to either Archivements or Territories on the Avatar Map. None should have been linked to random post battle drops, much less to FULL armour sets where obtaining each individual piece is itself based on RNG. One can play a million battles and still be as unlucky as to not get some of the arguably most important retainers, leaving you with a handicap on the multiplayer based purelly on luck. A new player with only ashigaru units unlocked(even if said new player is very skillfull) has almost 0 chance to win a battle vs a more leveled up player(even if said player is less skillfull), as the ashigaru units will simply rout as soon as the fight start. In my opinion all basic samurai units(bow, yari, katana and yari cav) should have been available from level 0 to all players. This would even up the field early on and give everyone a fairer chance. Clan specialization should instead be about unlocking higher tier(specialized) units and upgrades, not starting ones. The inclusion of dojos on the different maps is overall a great idea, as it prevents camping and red lining. However not all dojos are created equal and their positioning and randomness make for some unfair situations sometimes, when one dojo of arguably less importance is closer to one player, while another dojo of arguably higher value is closer to the other player. All dojos should simply be equally accesible to both players at the start of the game, being it ultimately up to said players to focus or not on capturing or neutralizing them. - Most games end so fast that you hardly ever run out of ammo, making the ammo ressuply mechanic and even the extended ammo upgrades rather pointless most of the time. - In the special case of the enemy spaming cav and bow cav, it becomes the complete oposite, this dojo and its ressuply ability becomes OP. With a balanced army you are basically forced to go for the hills and forest in order to have a fighting chance vs said cheeze army, however, since the bow dojo gives ammo resuply then we are sadly forced in stead to be out in the open near the dojo and be an easy target, or simply go to the woods and die from infinite arrows. Naval battles on vanilla Shogun 2 are a mess. Yet they are nesesary in order to unlock all land regions(thus all units and retainers) on the Avatar Conquest map. I think this was a mistake; Siege battles are neither required nor ranked, why then make Naval ones both things, when they are arguably worse than Siege?! Why allow Public Groups to be selected as Clans? This makes the whole Clan Competition feature rather pointless as zerg clans have a clear advantage over smaller private ones. Small steps to alleviate this were taken such as the implementation of losing points by losing battles and such, but that aint enough. Only private groups should have counted as Clans from the begining, and only Officers(owners) of said groups should have been able to activate them and select clan specialisation. Anyone on the group being able to do this is rather frustrating since there is no option to disband the group as a clan, nor of changing clan specialization, such options should have been added too at some point! Another thing greatly missing is the option to reset veteran skills like we can do with our general. This would allow players to be more experimental with their units and builds, and reduce the amount of grind. Anyways...all of this was said back in the days, yet no action was taken. 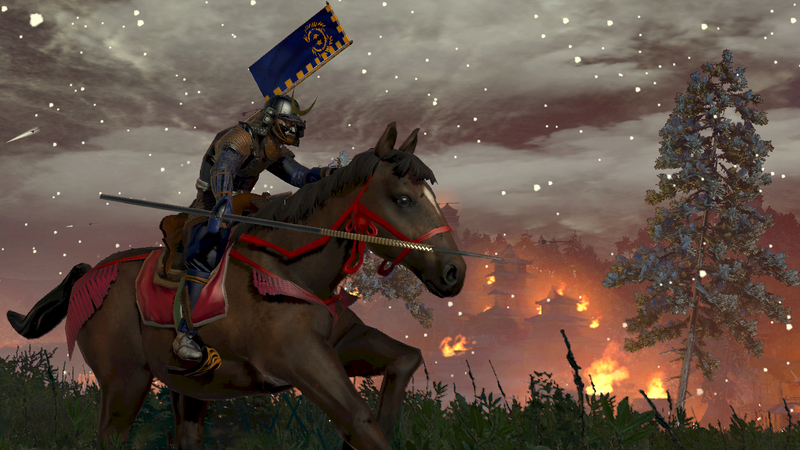 Other than that, i think Shogun 2 is to date one of the best total war games ever, and it has by far the best and most engaging multiplayer of any other total war! After not playing it for nearly 7 years, i am astonished by how much this game has endured the test of time! It would be great indeed if it was further improved and buildt upon. It's my favorite too. See signature block.